« >> Recibimos y publicamos / La solidaridad no tiene fronteras. 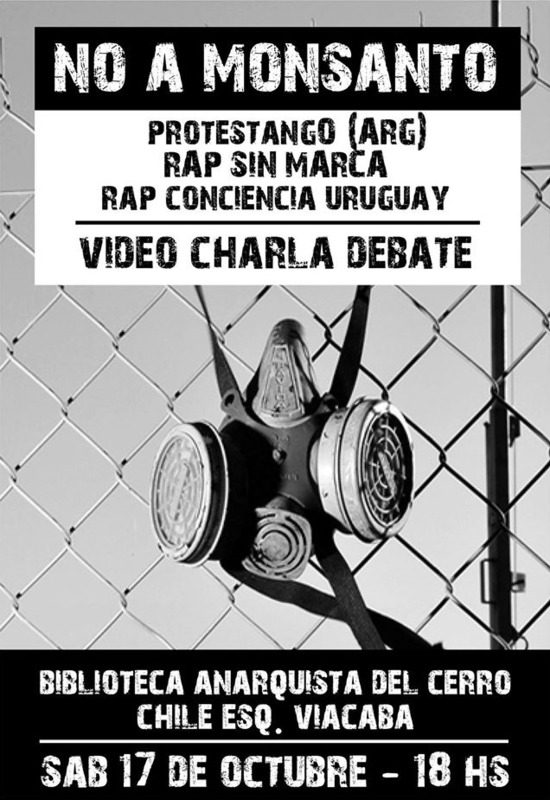 >> Sábado 17 de Octubre / Video-charla-debate contra Monsanto. This entry was posted on octubre 2, 2015 at 12:35 pm and is filed under Uncategorized. You can follow any responses to this entry through the RSS 2.0 feed. Responses are currently closed, but you can trackback from your own site.